Complete embroidery kit including cotton Zweigart canvas, printed chart, 6ply cotton stranded (mouline) DMC origin art. 117 threads, needle and white wooden frame. 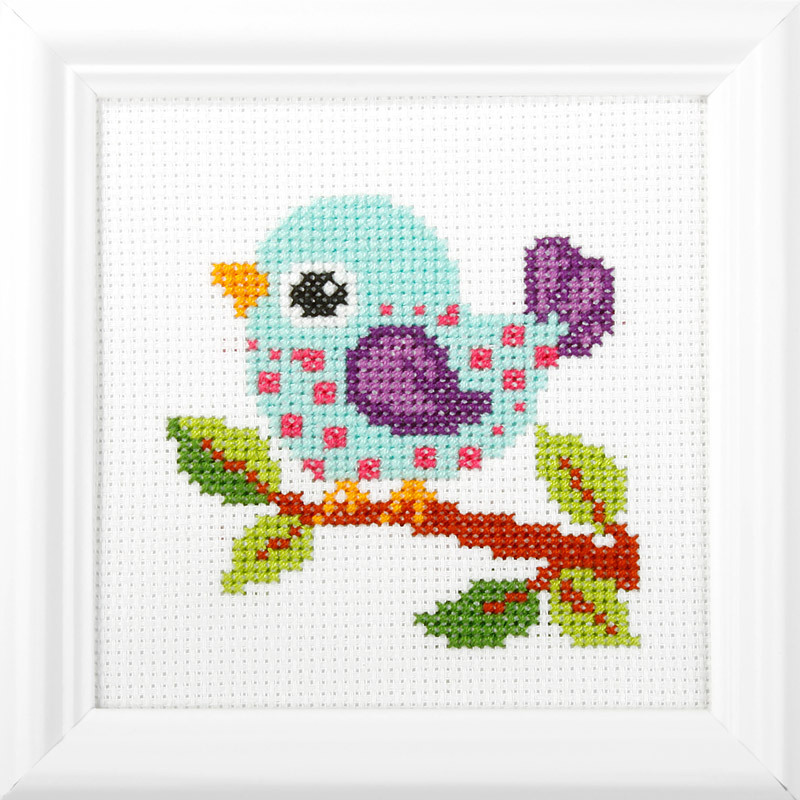 Embroidery kit with white wooden frame, themed “Bird”, dimensions 13x13cm. Bird (counted cross-stitch kit 13x13cm frame) – Complete embroidery kit with white wooden frame.